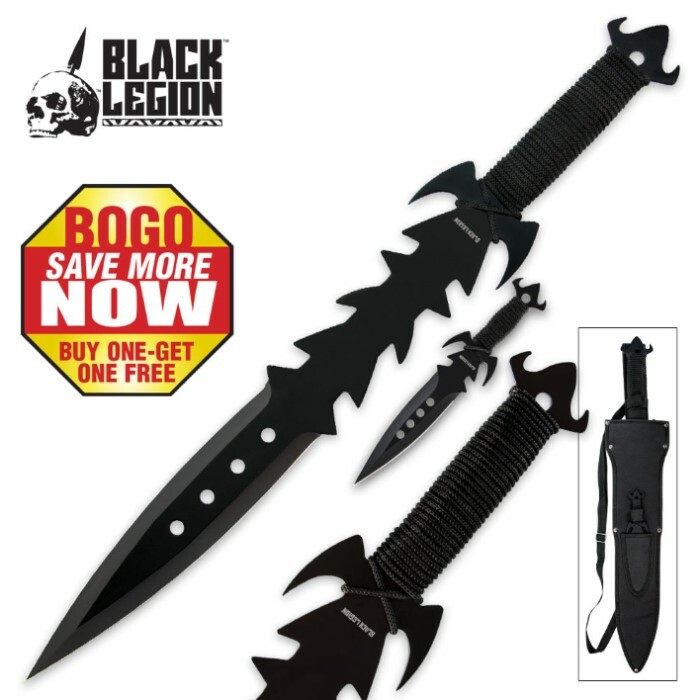 You can double down like a modern day ninja with this Black Legion Fantasy Sword & Throwing Knife Set! This super stylish duo includes a 25" fantasy sword with a 10-1/2" sharpened edge and cord-wrapped handle. 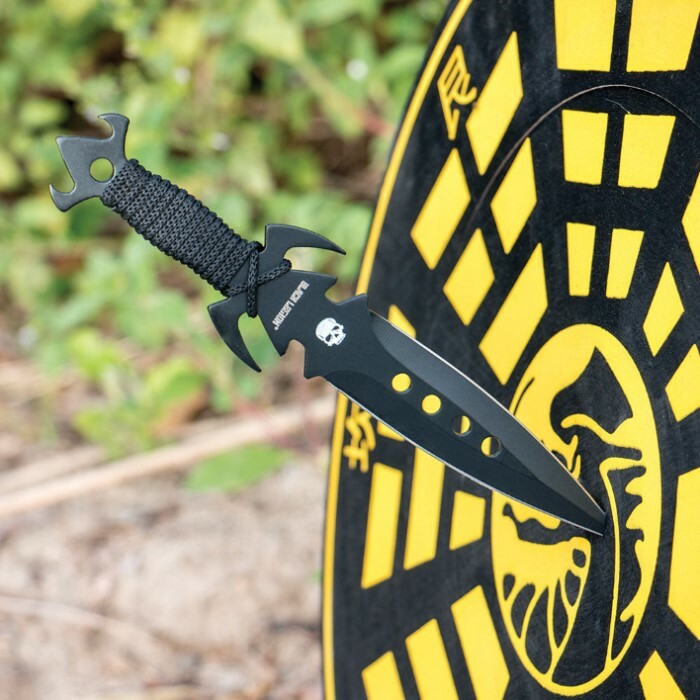 The 7-1/2" throwing knife matches it exactly, except on a smaller scale. 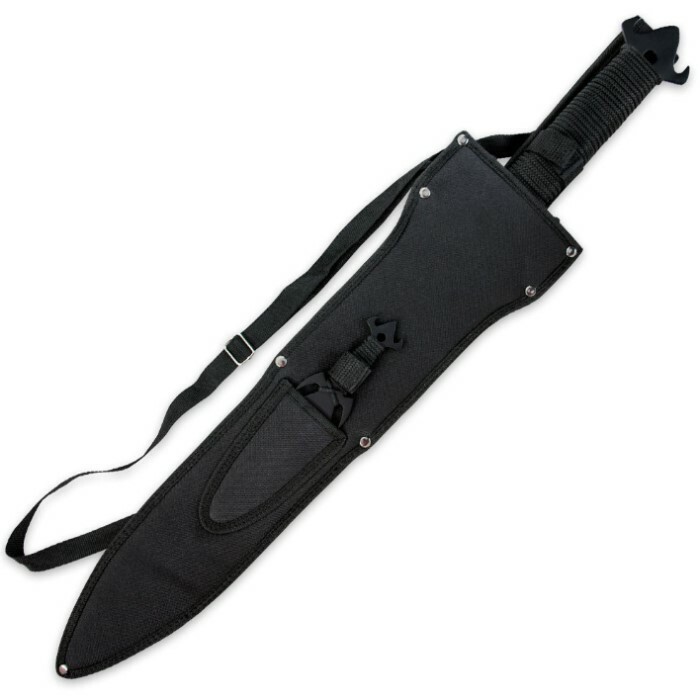 The set is housed together in a nylon shoulder sheath. The all black appearance gives this set a sleek and stylish look and feel.